Typical first officer in the Ferengi Alliance. Serves under Taar. Tried to find favor with Portal 63 on an ancient Tkon planet. 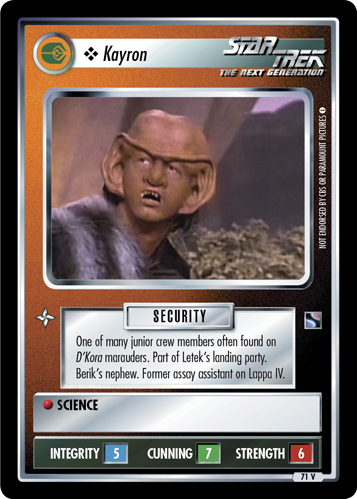 • Treachery • Geology • MEDICAL • May nullify Ferengi Attack at this location.